National Small Business Week 2018 (NSBW) is right around the corner—April 29 to May 5, making this an ideal time to discuss a changing workforce leaving the 9-to-5 grind. For many, the transition to entrepreneurship starts with a side hustle, a hobby job, or moonlighting in a field. This is exactly what makes coworking ideal for new entrepreneurs, startups, freelancers in a gig economy. For those of us at Evolve Workplace, it’s also about the evolution of coworking and what we can provide our community. As a new business, we are just beginning to gain a foothold on what the East Twin Cities metro folks want and need. We’ve created a casual, yet productive space—far different from some of the high-end spaces like Regus, WeWork, Officenters and Fueled Collective that all have more prestigious addresses and rapid-growth. Instead, we are focusing on true small businesses, often with 1-10 employees. Our physical space, as well as our offerings are more affordable and personalized, and that is the root of “true” coworking—collaborating with one another, bartering services and products, and building a workday social circle. For many people who have tried working from home, in area coffee shops, or quite literally on the road, coworking offers the perfect “people fix” for socialization purposes. It also offers short-term rental options for small businesses on a shoestring budget that are poised to grow with the right types of assistance. One of the unique features we offer is on-site small business development counseling. I love assisting businesses that are pre-venture, in the development or growth stage, and even long-term businesses that are looking to downsize or sell as owner’s transition toward retirement. I’m proud to say that I was a SBDC Director, and trained under the US Small Business Administration. Become part of the mix of Evolve Workplace’s eclectic businesses and community business supporters, and join us at our public events! We give back to the community every week, from sponsoring food drives to supporting charitable gaming (bingo and pull tab sales) through the South Robert Street Business Association. In short, we are in the trenches with you, making West St. Paul and our surrounding communities all that they can be! You may be surprised, but the phrase, “To start your own business requires blood, sweat and tears”, but it’s true. Too often, people have an epiphany, and think they can open a business overnight without much thought. As a former Small Business Development Center Director, I have witnessed it literally and figuratively. For that reason, the founders, and others of us who got in on the ground floor when Evolve Workplace was just a pipedream, are developing a series of business-related classes and seminars, and adding to our services based on member requests. I have worked with over 1,100 businesses over the years. Some were started with little more than a laptop and a cell phone, while others were innovative, larger-scale ventures that required securing angel investors. Regardless of the dollars involved, almost all of the ideas were tied to people’s passions, and I’ll talk specifics about micro-enterprises later in this blog. Know that no idea is a bad one—it may just need tweaking to fit a viable audience. It may be a service or product new to the local town or something like an innovative phone app or maybe even a recycling and repurposing an old product. So long as it fulfills a market niche, requires a few things. It must have capital, commitment, and owners who have the confidence to succeed. If you’d asked me when the economy was bad who was looking to start businesses, my response would have been a more narrow audience than it is today. Why? As baby boomers age out, and newer generations take over the workforce, many want a greater degree of autonomy than can often be found in corporate America. Nearly 55% of those businesses were registered as Limited Liability Companies, with an additional 22.8% registering as sole proprietors or working under a Certificate of Assumed Name. The common theme for working as a solopreneur, consultant, freelancer or independent business owner of the newly-registered 80% majority of the registrants again was flexible work schedules and the ability to maximize household income while creating a good work-life balance. Evolve Workplace has begun to poise itself to be a small business growth center, knowing that 2/3 of all new jobs created are developed by small businesses. By providing not only affordable day desks, open coworking (also known as “hot” desks) and large reserved/dedicated desks, affordable private office suites, hourly and daily conference room rentals and meeting and event spaces for the community, there is one challenge we face unfailingly each week. We come across men and women who have either dreamed of owning their own business who have never followed through, or who have failed at a previous business—sometimes multiple times! A wonderful resource for women who would like to start a business is the Female Entrepreneur Association International, because they have everything from startup advice to blogs and free planning worksheets. Another “must click” is the Entrepreneur's Handbook, which lists 120 online resources, not only for would-be new business owners, but those in growth mode as well. No matter what, somewhere in the conversation, those with an entrepreneurial spirit weave phrases into the conversation that are more teaching moments than red flags to those of us who are serial entrepreneurs. We are experts at recognizing how fear of the unknown and lack of confidence can squash great ideas, so we try to mitigate the perceived problems for those who are in the pre-venture phase of business. The US Small Business Administration is a great place to start if you’re thinking about doing market research and a competitive analysis about launching a business. There, you will find sample business plans, start-up cost calculators, funding/financing options, and tips about the pros and cons of buying an existing business or considering buying a franchise. While they may have the curiosity to attend one of our monthly networking events such as East Metro Entrepreneurs, Innovators & Startups walking into a room full of strangers is an intimidating experience. For another, setting an appointment to tour the building, those who are curious to know more about the benefits of coworking should check out this Harvard Business Review article. And other may need a pep talk to boost their confidence that their idea can become reality, and that self-employment, particularly a microenterprise, is perfect to give them the lifestyle they dream of. Some people’s reasoning that appears logical on the surface, such as lack of startup capital, while guised as a reason, is really just insecurity cloaked in disguise. Every day we hear excuses how difficult it is to secure financing or save to start a small business, but the reality is, with the gig economy, many businesses can be started simply with a cell phone and a laptop. At Evolve, even the need to buy things like a coffee maker, a printer, basic office supplies, and furnishings are erased from the equation, because our coworking space is truly all-inclusive. The bulk of pre-venture entrepreneurs are maintaining a full-time job while creating a “hobby job”, either to make ends meet, or to dip their toes into the unknown and often scary waters of self-employment. In fact, a side hustle often creates solopreneurs who soon discover that the business is taking an increasing number of hours each week and generating more income along the way. Enter those of us at Evolve Workplace. As a coworking space, we minimize the costs and perceived barriers to starting a small business. We are in the business of helping other small businesses grow, and provide shared services to maximize affordability for startups and people who, for whatever reason, aren’t able to take a part time business to scale. We offer FREE community memberships, which includes our newsletter and invitations to public events. We really want you to cowork with us, so we have flexible packages, including paid memberships for evening only or weekend only office space starting at only $150 per month. Once we engage pre-venture and other small scale entrepreneurs, it’s easier to get them to recognize that the current economy allows them to fulfill their dreams and to transition into the land of freedom through self-employment. More often than not, between the information we provide on business structures in Minnesota to personalized on-site business counseling, along with referrals to outside organizations such as Metropolitan Consortium of Community Developers (MCCD), African Development Center (ADC), Emerge Community Development WomenVenture and others, we find a way to make new businesses happen in Dakota County through Economic Development, especially those who want to establish roots in West St Paul, Inver Grove Heights, and South St. Paul. Another hidden gem cities in Dakota County offer is another program for free business advice called Open to Business through MCCD, where individuals can work with a counselor from Metropolitan Consortium of Community Developers on gaining resources and insight as to the viability of community-based businesses. Whether you’re looking to reinvent yourself by opening a business, or solidifying the local economy by patronizing the “little guy” instead of the nearest chain store, microenterprise entrepreneurship is the way to go. In the short time Evolve Workplace has been in West St. Paul, and the broader Dakota County, Minnesota community, we’ve come to realize how dedicated and loyal residents are—there is a big commitment to buy local to help businesses grow while building community relationships. Granted, the words micro-business, micropreneur, solopreneur or entrepreneur might not fly across everyone’s radar, but there are 20 million of us across the US. By SBA standards, startups requiring $35,000 or less, and 5 or fewer employees are deemed to be microenterprise. The majority of micros are launched by women, minorities, recent immigrants, disabled persons and people who have limited access to traditional business credit. Think of microenterprise as turning a dream into reality on a barebones budget. Some of us become self-employed by intention, others out of economic necessity. More than half of our small businesses provide services to others; a third are in the retail industry; and artisans make up the balance. According to the Association for Enterprise Opportunity, which is also known as the voice of small business, Dakota County had nearly 33,000 microenterprises in 2016, the latest year where statistics are available. More than 10,000 of these businesses have 1-4 employees, not including the owner. While not readily recognized, microenterprises account for almost 88 percent of all businesses, even though the big-box retailers and food chains are far better known. It’s time to patronize the majority, and to renew our commitment to trusting our neighbor’s sense of business, while becoming less dependent on corporate chains. Commit to buying for the shop down the street, hiring local contractors, and using local service providers. After all, they are he backbone of our community. How did we get to the point where many people now trust national brands more than their neighbors? It’s marketing, plain and simple. Because the typical microenterprise owner has an exceedingly small advertising and marketing budget, they might have to limit their marketing to simply passing out business cards, attending area networking gatherings and promoting themselves online. The time has come to take back communities by growing small businesses, and by understanding the impact of where we choose to spend our dollars directly affects the local economy. So the next time you’re driving toward a big box retailer, as yourself if there is a store along the road that could use your business more. That being said, the standard reasons people buy local—the fact that they’re purchasing from their neighbors, having trust that shop owners who often make exceptions to return policies to keep customers happy, or who like the convenience of driving up to the door of the business, instead of becoming lost in a sea of cars. In the northern Dakota County area, particularly West. St. Paul, Mendota, Mendota Heights, Mendota, Eagan, South St. Paul, and even a limited area of Ramsey County in the City of St. Paul, there are about 40 local businesses that residents should pay particular attention to, because of their commitment to giving back to the community. Whether large or small, they are all members of the South Robert Street Business Association contributes to local charitable causes (SRSBA). 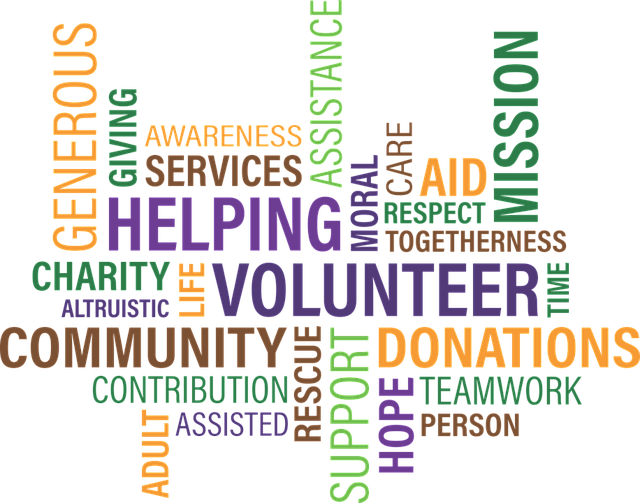 Most members not only work to provide charitable gaming, they regularly volunteer their time, which is unique to most business associations. They also co-sponsor free family-oriented events year round throughout the city. The SRSBA is far from a typical neighborhood business association that sits down as a group to commiserate over coffee. Members volunteer a significant number of hours in the community. They sponsor and co-host free family-oriented events with the City of West St Paul, such as last fall’s Family Fun Day Touch A Truck, the Winter Fun Fest, and will do the same for this summer’s event, West St. Paul Days May 18-20, 2018. The early season event will include the summer’s first parade, along with a carnival at the Signal Hills Shopping Center. The SRSBA is also the state-authorized organization that hosts all of the charitable gambling in the area—the pull tabs and bingo. Last year, the proceeds allowed the SRSBA to donate over $200,000 back to the community, due to their charitable gaming endeavors. Over 100 Dakota County and Ramsey county-based nonprofit organizations and individuals in need benefitted from their generosity. On top of that, due to gaming statutes, of the nearly $800,000 raised, approximately half was returned, by law, to the State of Minnesota Gambling Control Board which goes into the State pot to promote the lottery and responsible gaming. Evolve Workplace is active in the SRSBA. In fact, beginning April 2018, when a business becomes a full-time member at Evolve, we are paying for the first three months membership if a new business is eligible and interested in joining. This will allow our co-located startups and new-to-the-area businesses another place where they can immediately have a network of mentors to bounce ideas and questions off of others. Further, it will allow those businesses to become involved in local philanthropic efforts. In recent years, government has renewed its commitment to small business as an industry worthy of recognition and support. More and more national and state leaders view entrepreneurship as an effective strategy for boosting income, reducing poverty and revitalizing communities. Helping new businesses gain entrance into the mainstream financial system as their companies grow, makes sound economic sense. On a local level, beside active membership in the SRSBA, Evolve Workplace owners and staff are doing what they can to help fledgling and established small businesses to grow. They are providing small business counseling and mentorship on site, are offering a series of business lunch ‘n’ learns, as well as in-depth seminars for people with pre-venture business interests. Everyone who works with Evolve is a serial entrepreneur themselves. When they meet with potential and operational businesses who are considering calling their space a workday home, it’s generally clear what it will take to get the doors open, simply by talking to the potential coworking member. Some need a landing spot to work efficiently and effectively with a legitimate business address, as they bootstrap their company as it grows. Others come in with a dream, are confused about how and where to start, and need a boost of confidence to get over initial hurdles. Others are on the cusp of creating an innovative business model, but may need assistance with cash flow analysis or product marketing. All want-to-be business owners have something in common—the burning desire to harness their skills and interests—and then morph them into a moneymaking venture that will eventually provide their primary income. That being said, there are several startups who call Evolve home, many of them on the proverbial shoestring. Some need to shift their mindset from that of an employee to a leader—which is why mentors often point out that having the right mindset is equally as important as having adequate capital. Over the years, I’ve seen service-oriented business not only survive, but thrive with just a few hundred dollars in startup funding. Below are 5 local ideas for microbusinesses a few brief stories about people who’ve truly started their business on a shoestring. Here —generally at a cost of $1,000 or less to start a company. I’ve watched entrepreneurs who have only a cell phone and a laptop, a few business cards and a simple website. As these kinds of businesses grow, the owners often move from home offices to coworking sites such as Evolve Workplace. For now, here are five businesses who are memorable to me, simply because each of the people I worked with below, started out with incomes far below the Federal poverty level. Each was determined not to live on public assistance, to break the cycle of generational poverty, and to overcome barriers that ranged from lack of education to having to deal with chronic health issues. I take joy in knowing that not only did each overcome the hurdles of staying in business not just the first year, when there is typically an 80% failure rate. They each continue to be in business for 8-12 years after the time they registered their sole proprietorships, corporations and LLCs. took a week-long mediation seminar at a local college. His new skillset, coupled with a calm demeanor, allowed him o build a six-figure company by mediating for others in less than a year. 2. Another mother, wanting to keep her teens occupied during the summer, took five family lemon recipes, used a friend’s restaurant commercial kitchen off-hours, and had stands in local Minnesota Grown Farmer’s Markets five days a week. The kids sold lemon pound cake, lemon poppy seed muffins, lemon bars, lemon curd, and lemonade. After expenses, the company made an average of $22,000 each of the four summers in operation. Long story short, on graduated from college debt-free last summer, and the other is on track to do the same next month because of the sweat equity they put into the business. 3. There was also a man who by his own admittance was functionally illiterate based on the UNESCO definition, having only a seventh grade education and having grown up in the Appalachian mountains, was desperate to find a means to a livable wage to help support his family. It turned out that he was a master at small appliance and small engine repair, having done it out of necessity for decades. Within a matter of weeks, he was traveling to homes and businesses, repairing everything from toasters to weed whips, lawn mowers to snow blowers. Clients were thrilled that they didn’t need to take items to a shop, and wait for weeks on end for repairs to be done. Instead, he would do them in the client’s garage, or in the van he used as a mobile shop. 4. There was a woman with a severely disabled child. She struggled to find child care or a Personal Care Attendant (PCA) to cover his medical needs while she was working. Frustrated and financially desperate, she figured out a way to work weekends from 10PM to 2AM, so that her mother could care for her son while he was sleeping. She contracted with a few higher-end nightclubs and began selling roses at $5 each. She would prep them at home, and place them in vials. She would routinely profit over $2,000 a month for less than 40 hours work between prep and sales. 5. Soon she saw a need to have a hostess in the bathrooms at the establishments. She bought items such as lipstick, disposable mascara wands and hair combs, hair sprays, lotions and perfumes, and packed them in a travel case. She hired a friend at a nominal wage, and put the products on display. Evening tips after paying her friend soon added up to another $1,200-1,500 in income. I could go on and on, but will leave the bulk of ideas for another day!